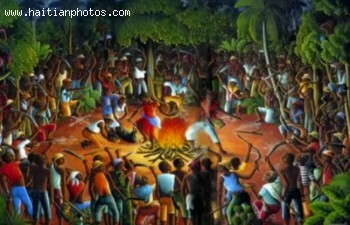 The majority of modern-day Haitians believes in and practices at least some aspects of voodoo. In 1935, a law effectively stated the practice of Voodoo as superstitious, noting that individuals who participate in different ceremonies and practices that function as an offering to local deities such as the sacrificing of livestock could be fined or even imprisoned. It was then abolished in the 1987 constitution due to the change in government and the protests of Haitians. In 2003, Voodoo was officially recognized as an official religion in Haiti, meaning it enjoyed the same rights and legal protections as any other religion. When you hire your wedding photographer, develop a list of photos with them to shoot before, during, and after the ceremony, and at the reception. When you hire your wedding photographer, develop a list of photos with them to shoot before, during, and after the ceremony, and at the reception. Ask for their ideas and suggestions. Here are some recommended suggestions for the pre-ceremony photos. The most traditional photos are those of the bride posing with various members of her immediate and extended family. These include the bride standing next to her mother and father in separate photos. Then a photo of the bride with both parents flanking her.